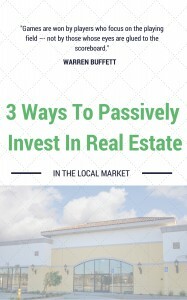 In land investing in Jacksonville it’s said that the profit is made when you buy, not when you sell. This means you need to be able to acquire your land investment at a good price. We’d build on this concept to say that if you want to get a fast return, you need to find land at an attractive price but have a plan to be able to sell it at a higher price. Land tends to increase in value but it normally takes time. If you want to speed up the process, look at these 3 things when analyzing which land will get you the fastest return in Jacksonville. Looking for land that you can invest for rapid ROI? Click here and enter your information in the form or call us at (800) 868-0388 to access our inventory of available land investments. We’re always adding more!